The “Habel Homestead” is the birthplace and childhood home of my children’s paternal Grandfather, Waldermar Louis Habel (see here) and I was immediately flipped back to another wedding at this same venue, on the banks of the River Murray, Loxton, South Australia, over 100 years ago. 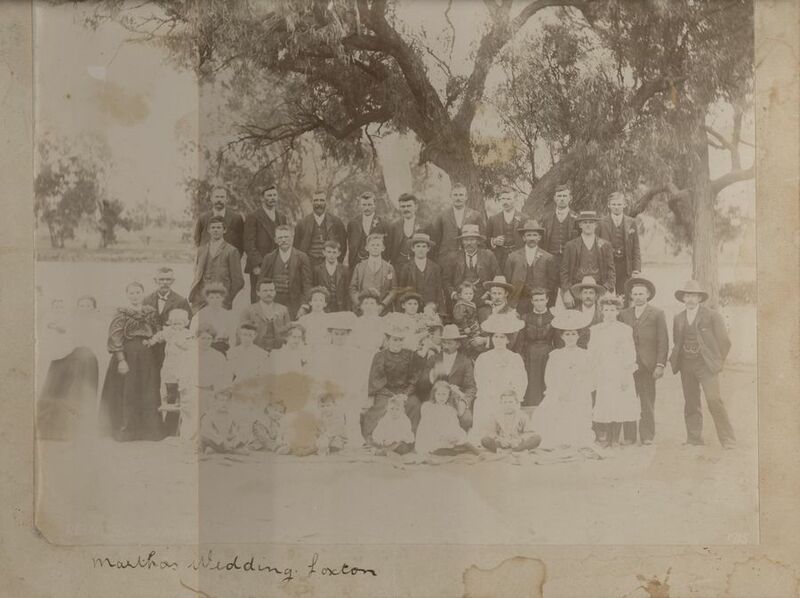 Our Family History records show that on 7 Feb 1907, Lina (Martha) Habel, third daughter of Wilhelm Emil Habel and his first wife, Marie (Martha) Emilie Fielke, married Arnold Friedrich Stanitzki at St Petri’s Church, Loxton Hut. It is believed to have been the first wedding in the newly built church. 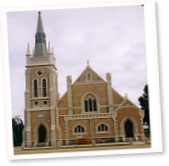 The Evangelical Lutheran Church of Loxton was first organised by E.J.P. 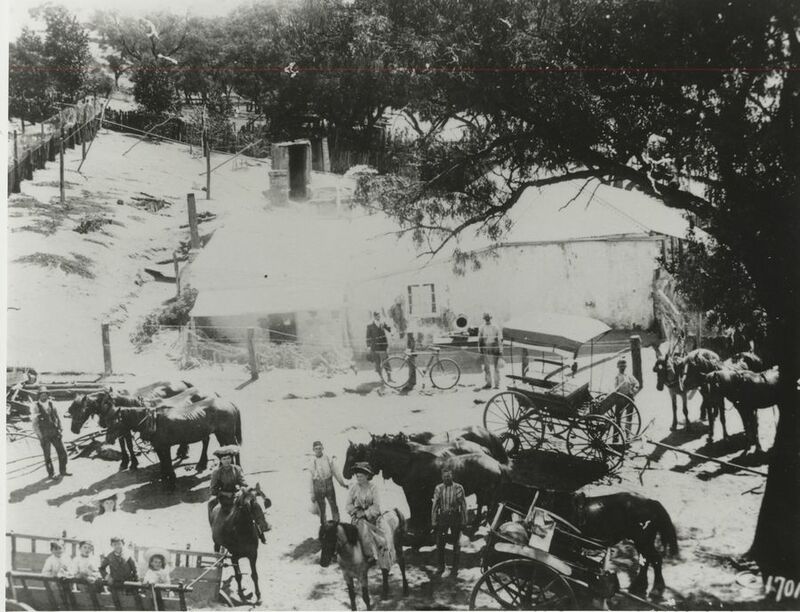 Kaesler, in 1897, before the town of Loxton was formally planned. It began as a “House Church“ with parishioners meeting for worship in various homes. 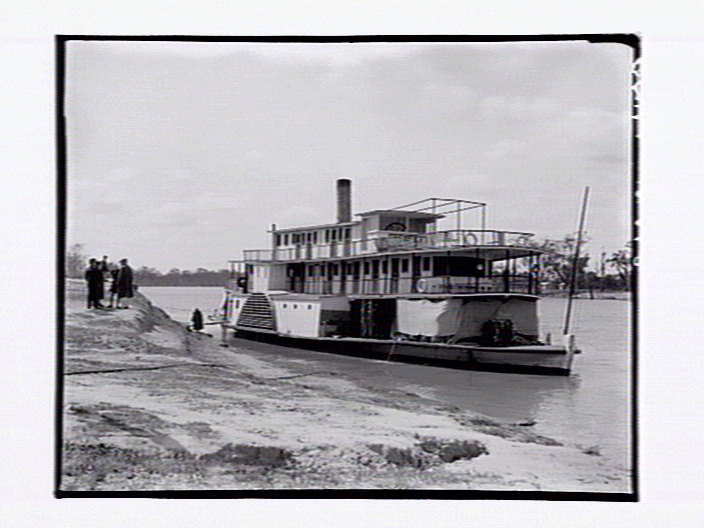 Pastor L.Kuss from the Mannum congregation was sent up river, by the Synod, four to six times a year to minister to the spiritual needs of the people. Wilhelm Emil Habel, one of the original pioneers, established his homestead in 1895. 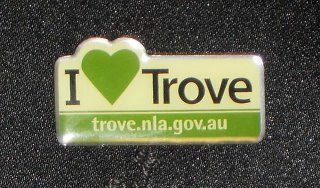 The country proved to be most fertile and many settlers, largely from Sedan, Mannum and Dutton, began moving into the district. In 1904 the congregation decided to build a stone church measuring 40ft x 20ft x 14ft (12.2m x 6.1m x 4.27m) at a cost of 189 pounds ($360) with a seating capacity of 150. As early as 1911 the St Petri Congregation began talking about the possibility of building a more spacious church. The Foundation Stone was finally laid in January 1925 and 14 months later, on Sunday, 7 Mar 1926, some 2000 people came from near and far for the opening of the new church, the size and scale of which was remarkable, showing the vision of the people at that time. How exciting that my children’s Great Aunt Martha was the first to be married in the original church which, unfortunately, is no longer standing. 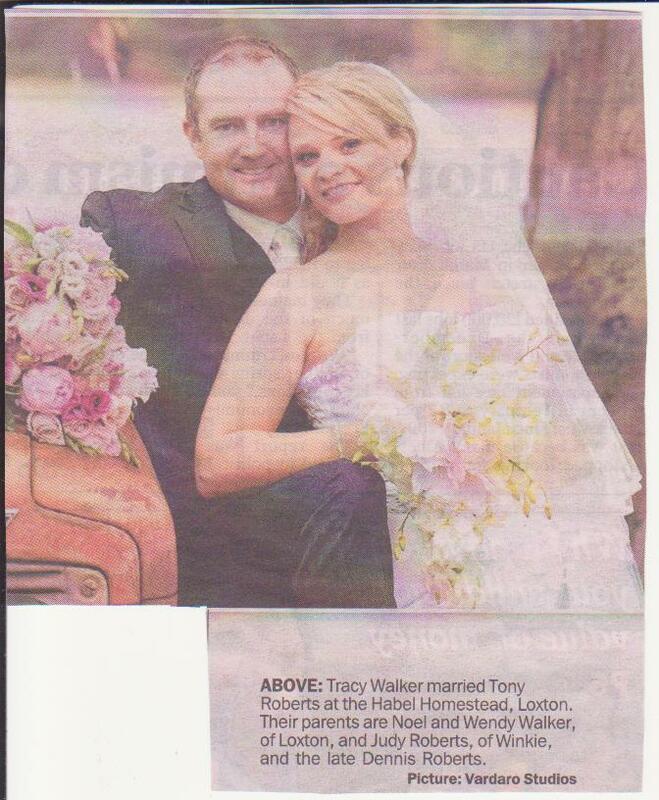 Clearly her father was indeed “one of the most successful farmers in the district” to be able to put on a celebration of this magnitude and it’s wonderful to think that young couples are still “pledging their troth” at the Habel Homestead, Loxton. However it is unclear as to whether this is the same building for the original homestead, built close to the River and affected by floods, was rebuilt on higher land.